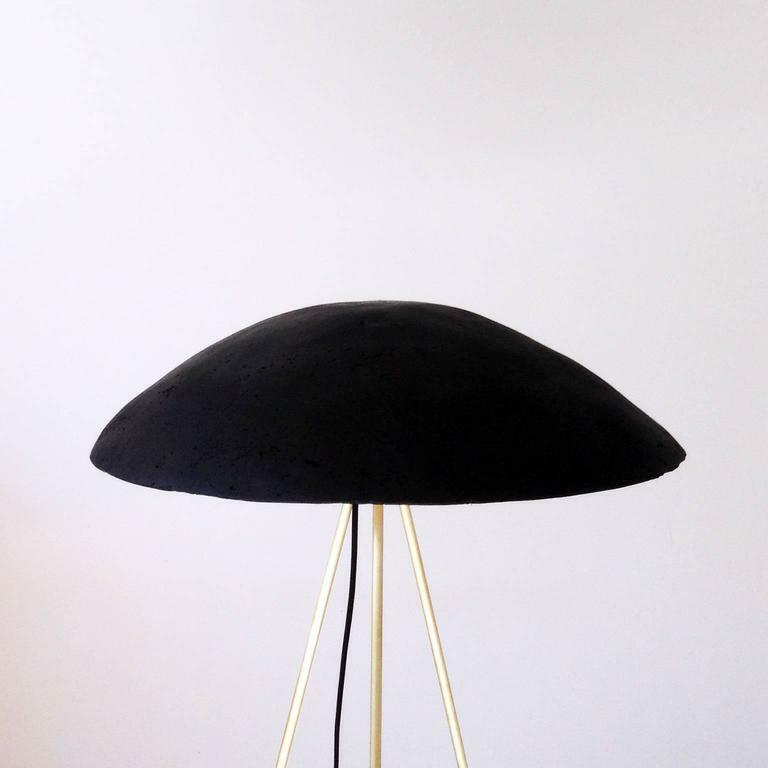 The Tall Buddy Floor Lamp is more staid than the funny buddy with an unmoving "noggin," 21” in diameter, which is set onto three 47” brass legs with rubber-dipped ball feet. Shades come in black or white gypsum. 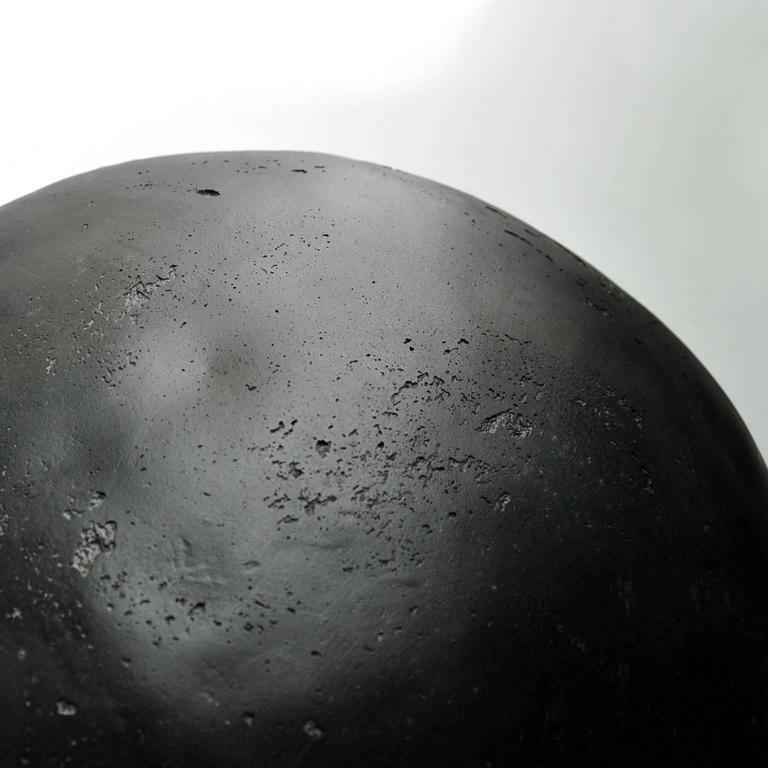 All items by ParkerWorks celebrate the irregularities of hand sculpted work. 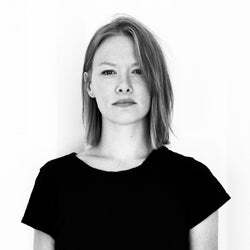 Dimples, divots, or other peculiarities are an intentional part of the design. Tripod legs allows for some flexibility in floor dimension, so measurements are approximate. 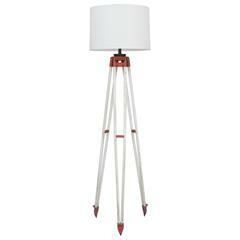 Mastercraft, Harvey Probber Design inc.
Mid-Century Modern floor lamp side table combination. 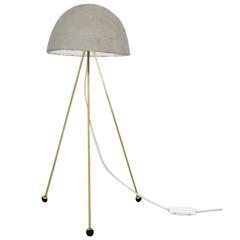 Brass floor lamp with tripod base, with articulated lacquered aluminium shades. The arms are also articulated. 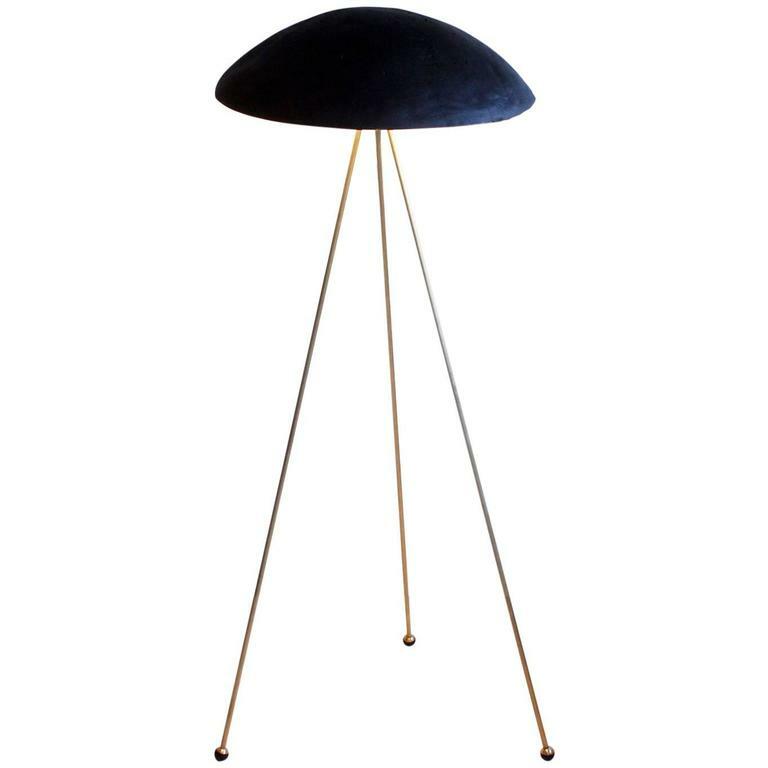 Brass floor lamp with tripod base, French, 1950s. The floor lamp was recently rewired. Shade is shown as a suggestion only, not included. Not sold with shade. 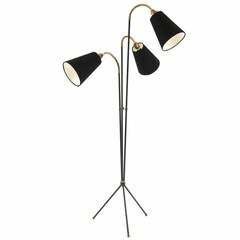 Iron brass and linen floor lamp from Denmark, circa early 1950s. This example has an enameled iron frame with tripod legs, brass accents and adjustable arms. The shades are black linen.